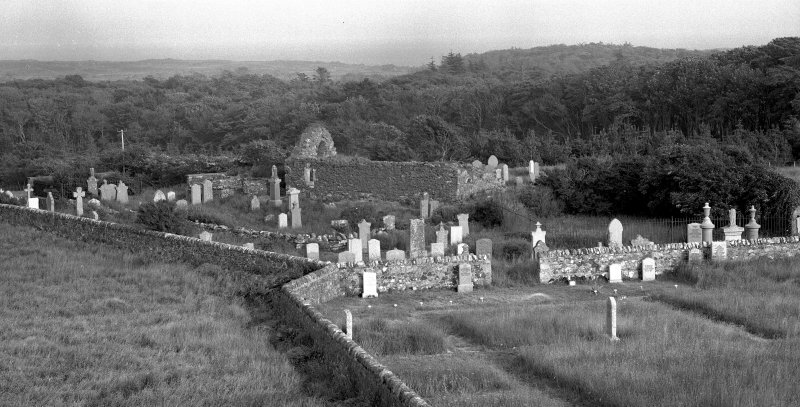 View of terracing and church from north west. Detail of incised cross on interior east wall. 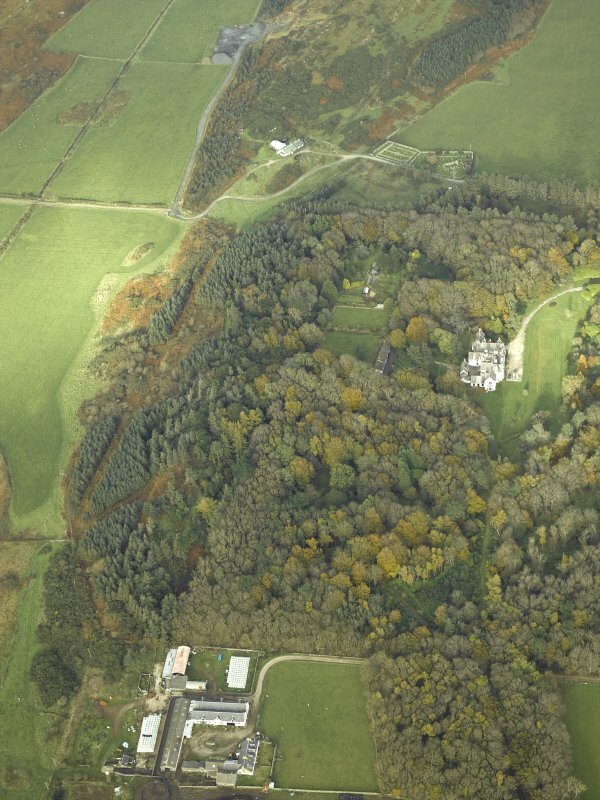 Oblique aerial view centred on the remains of the church and burial-ground with the country house and walled garden adjacent, taken from the N.
View from burial enclosure to south east. General view from road to south. 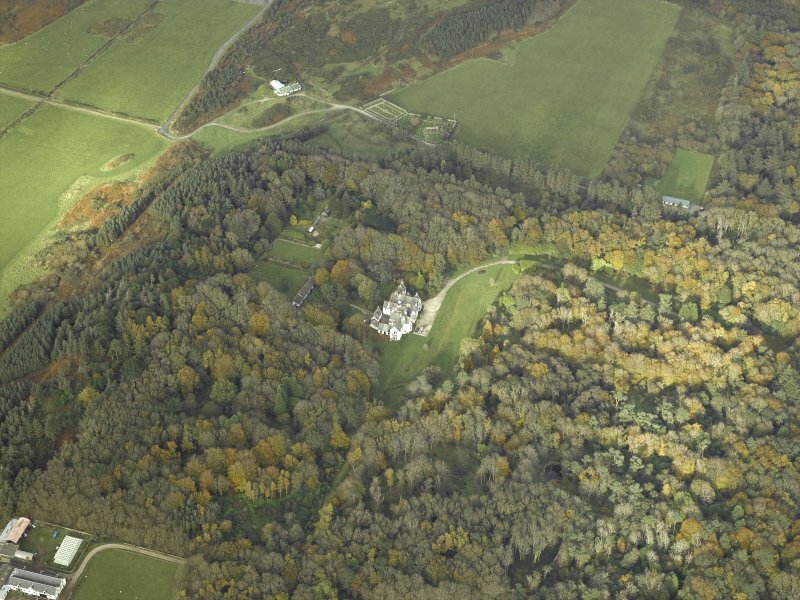 General oblique aerial view centred on the country house and walled garden with the farmsteading and farmhouse and remains of the church and burial-ground adjacent, taken from the NNE. 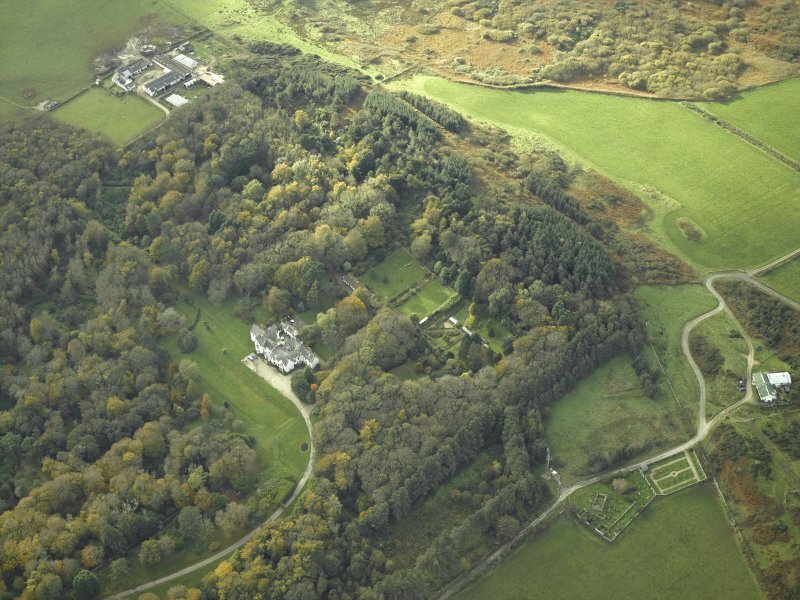 Oblique aerial view centred on the country house and walled garden with the remains of the church and burial-ground adjacent, taken from the WSW. 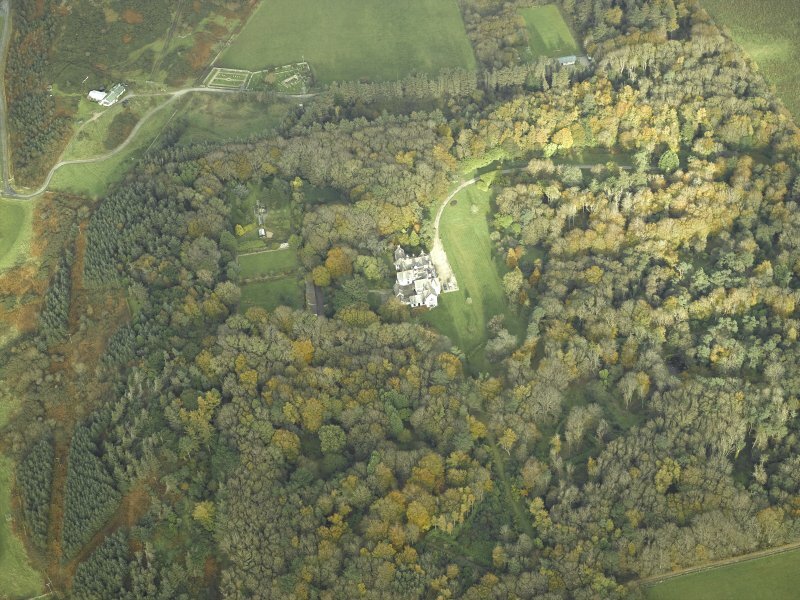 Oblique aerial view centred on the country house and walled garden with the remains of the church and burial-ground adjacent, taken from the SW. 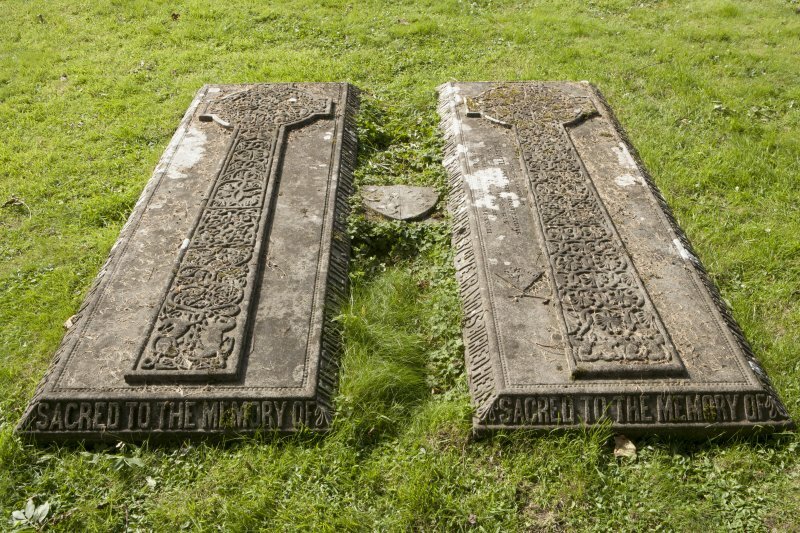 Detail of pair of gravestones with carved crosses. 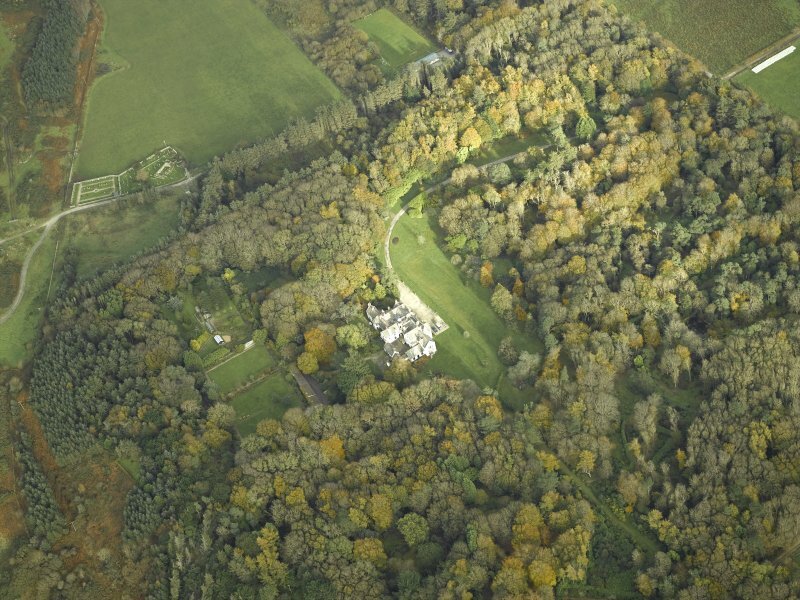 Oblique aerial view centred on the country house and walled garden with the remains of the church and burial-ground adjacent, taken from the SSW. 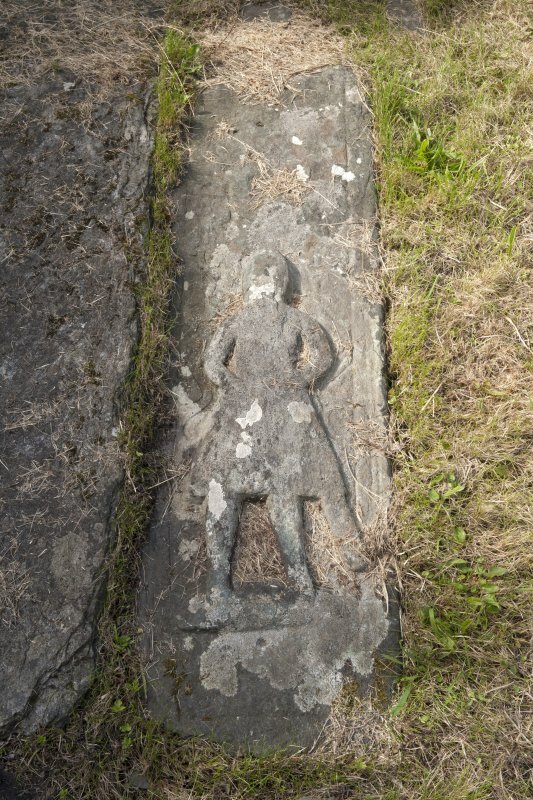 Detail of gravestone with carved effigy. 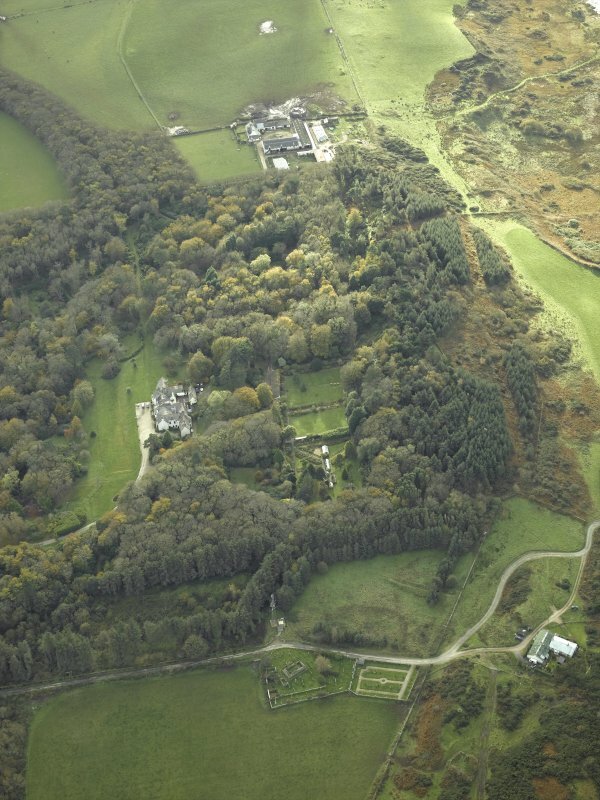 General oblique aerial view centred on the country house and walled garden with the farmsteading and farmhouse and remains of the church and burial-ground adjacent, taken from the SSW. 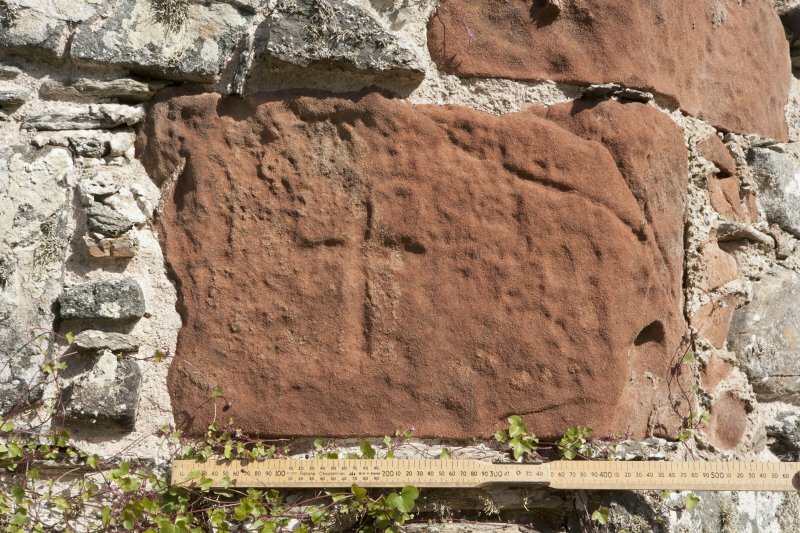 Detail of incised cross on east wall (including scale). 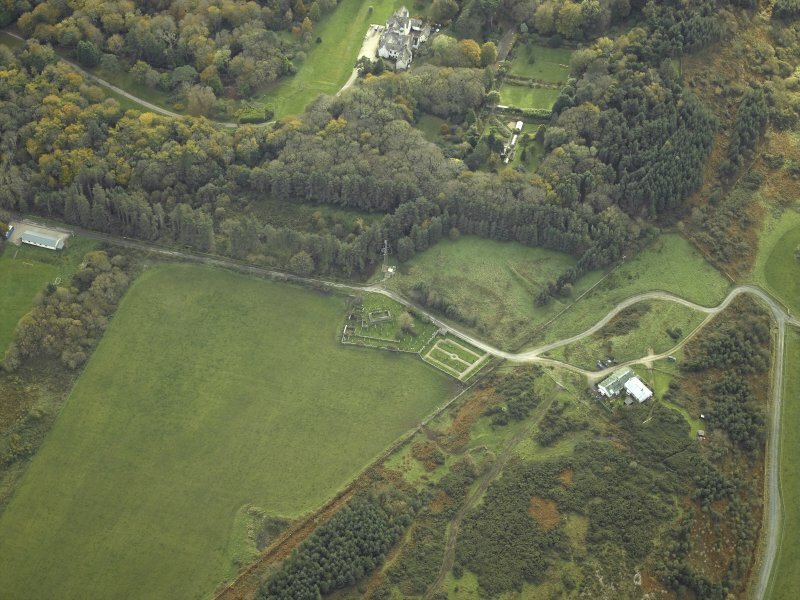 General oblique aerial view centred on the country house and walled garden with the farmsteading and farmhouse and remains of the church and burial-ground adjacent, taken from the NE. 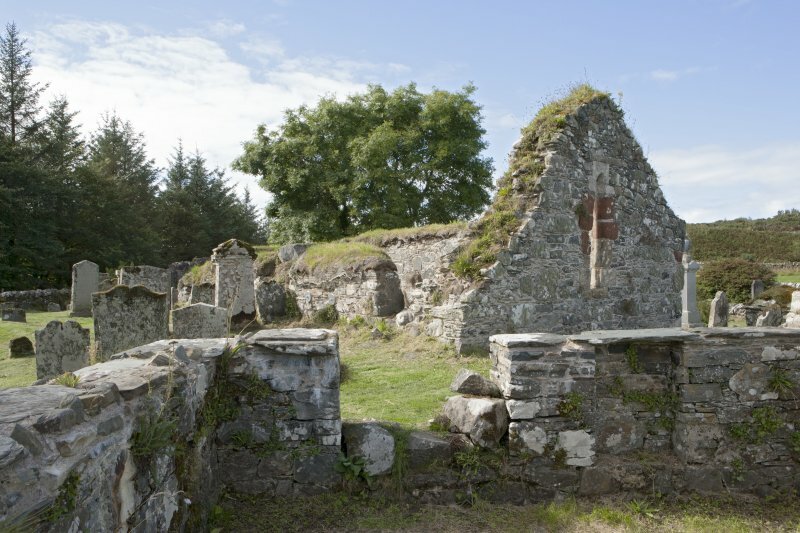 These are the remains of the former parish-church of Gigha and Cara, which was dedicated to St Cathan and probably dates from the 13th century. 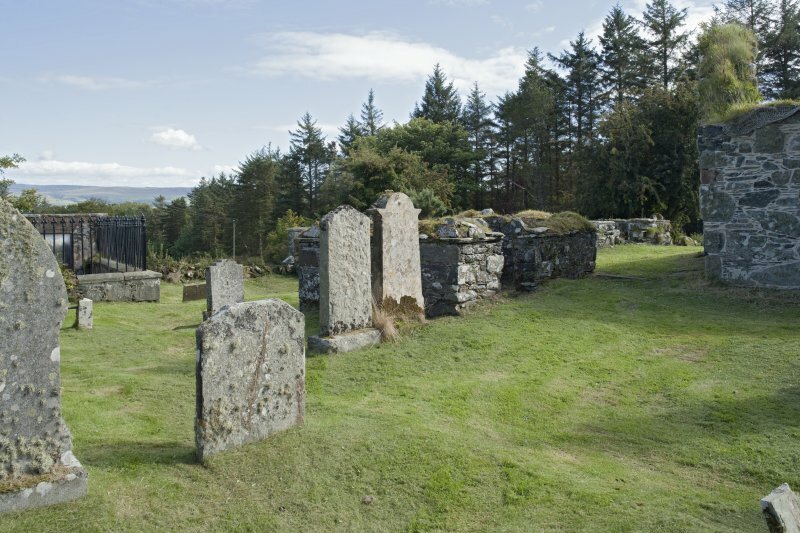 The structure appears still to have been in use about the year 1695, but some time during the early 18th century it was replaced by another building standing upon a different site. 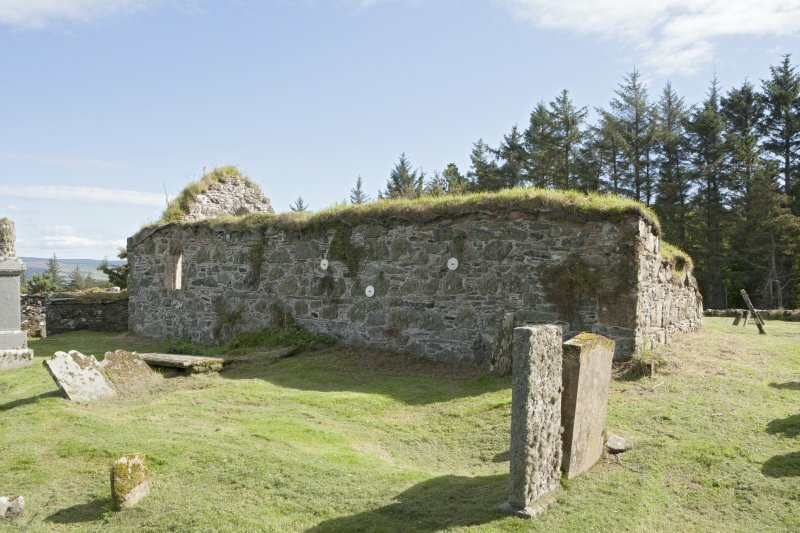 (NR 648 487) The church stands within a burial-ground and although roofless, the structure is fairly well-preserved the N and E walls standing to their original heights, and the W and S walls to an average height of about 1.5m. 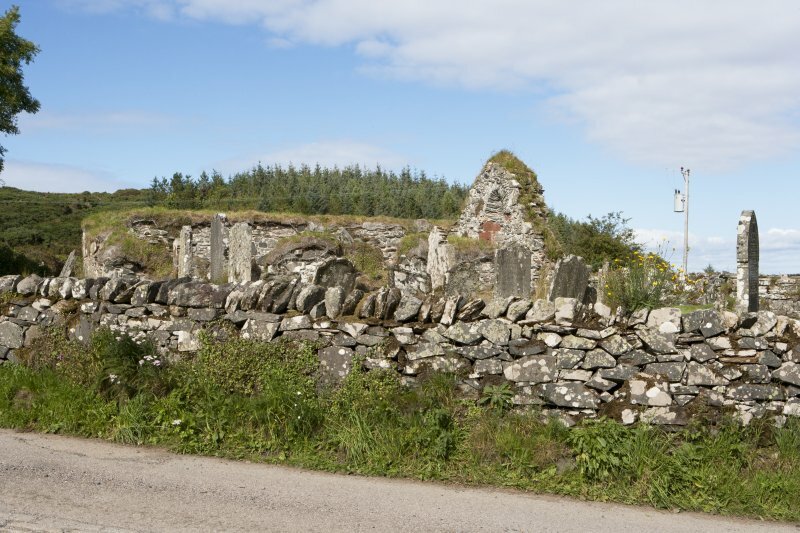 Some of the masonry has been restored or consolidated at a comparatively recent period. The church, which is unicameral, is of simple rectangular plan and measures 11.6m from W to E by 6.1m transversely over walls some 0.8m in thickness. The masonry is of random rubble laid in lime mortar with window dressings of dark red and coarse-grained yellow sandstone. 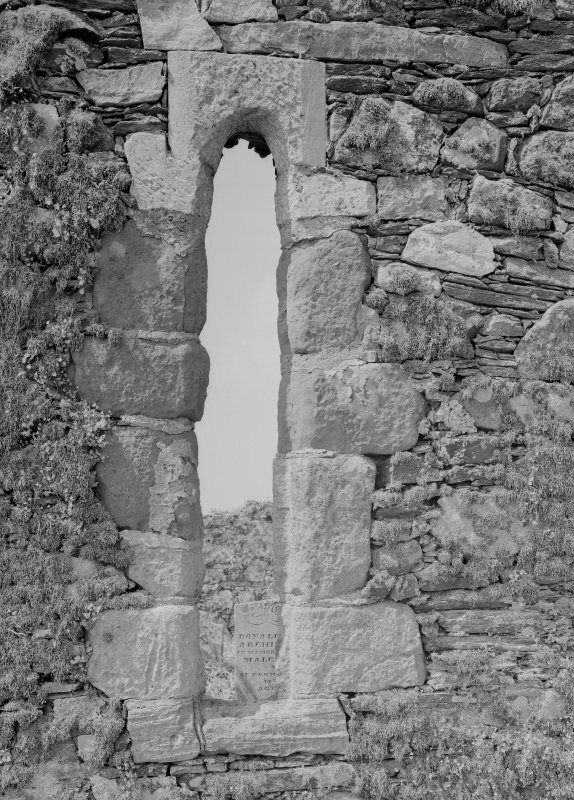 An opening towards the W end of the S wall marks the position of the original entrance-doorway, of which nothing now remains. The font, an irregularly octagonal basin of schist, has been set up at NR 647 489. A broken, Early Christian cross illustrated by White in 1875 and described by Muir in 1885 as being 1.5m long, has now disappeared from the burial-ground. 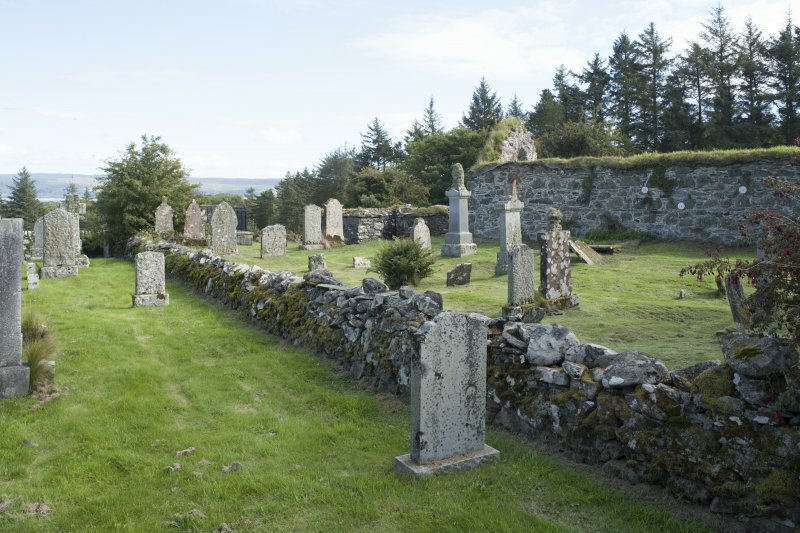 The earliest tombstones remaining are 14th to 15th century. 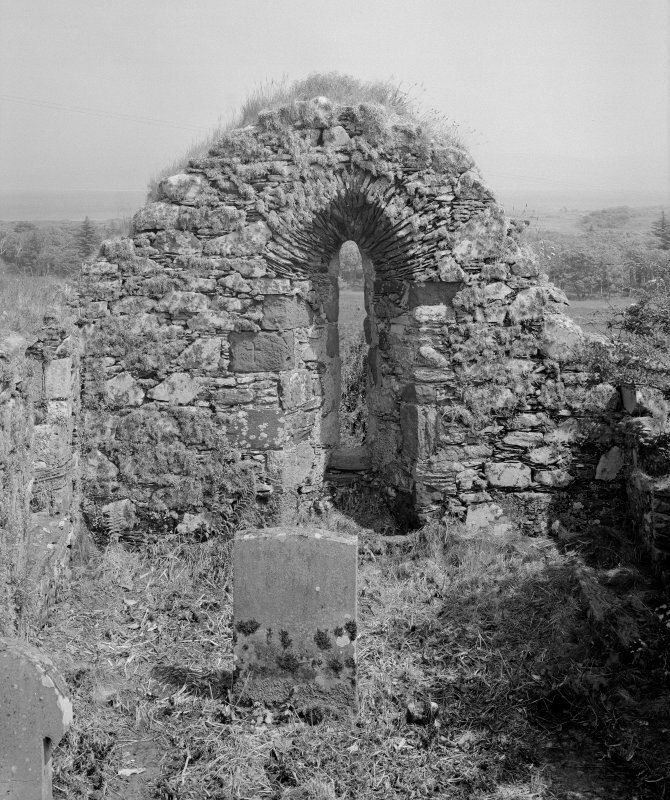 A spring situated on the east side of the roadway a few metres to the south of the burial-ground is said to have been known as St Cathan's Well (Anderson 1939). T P White 1875; T S Muir 1885; R S G Anderson 1939; RCAHMS 1971, visited 1966. 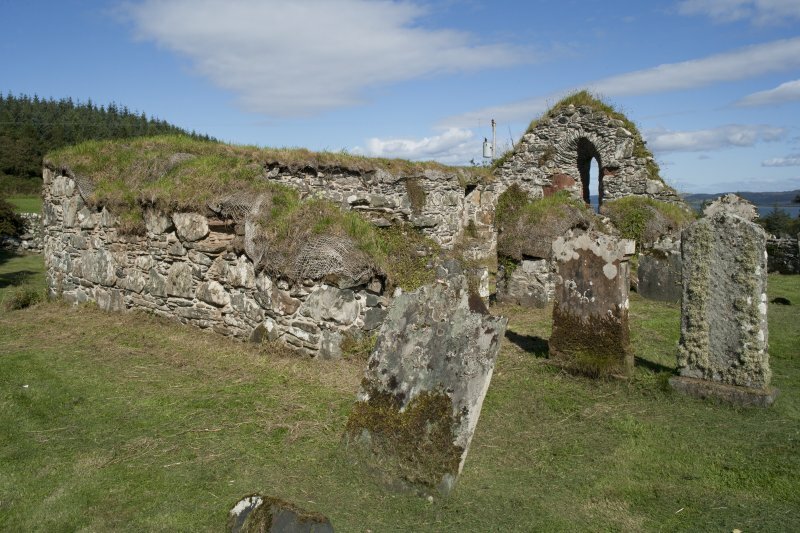 St Cathan's Church is as described and illustrated by RCAHMS. 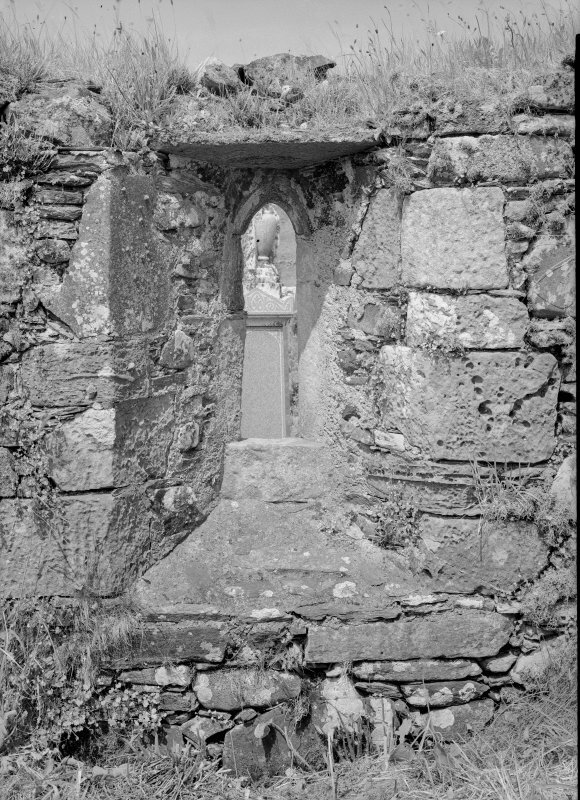 The font, as described and illustrated by RCAHMS, now lies in the present church at NR 6472 4898. No further information was found concerning the Early Christian cross. The location of St Cathan's Well cannot be given with certainty. From Anderson's description the spring shown on the OS 6"map, (1924) at NR 6435 4806 would seem the likely site, but this spring is in fact a slight issue of water into a ditch. The nearby well shown on OS 6" map (1924) at NR 6432 4807 is now completely covered over. 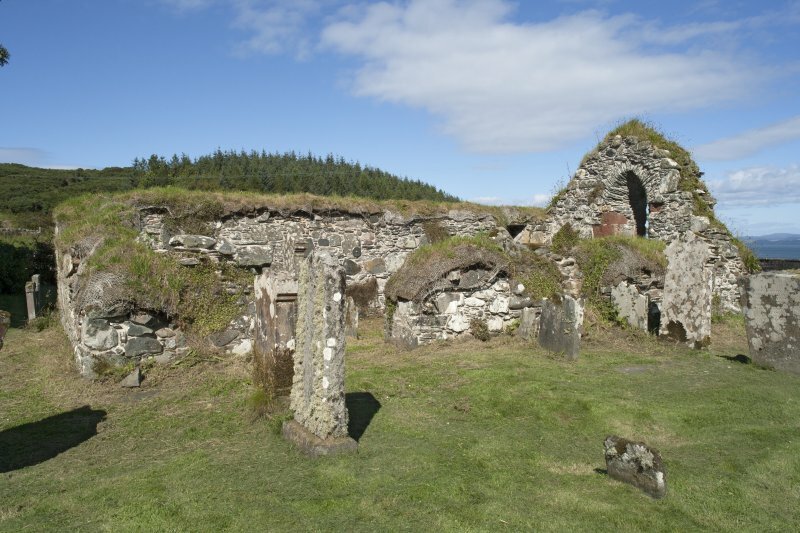 It is reported (information from Betty McNeill, Keil Cottage, Gigha) to have been a well built structure with steps leading down into it, and was probably St Cathan's Well though that name is not known locally. Visited by OS (J B) 18 January 1978.
at E. end and N. side. Grass grown floor: grave slabs. T.P. hite "Archaeological Sketches" 1875. p.27. RCAHMS Vol 1 No 276 (ill). Ruin. 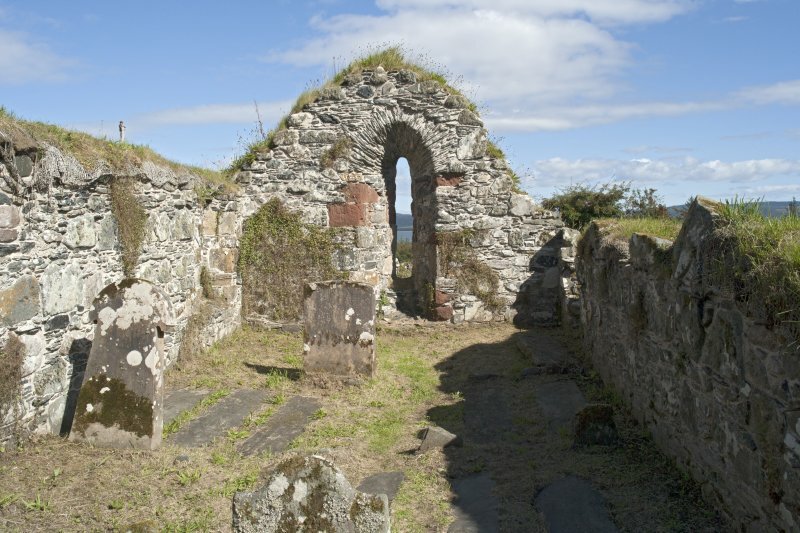 1st parish church of Gigha and Cara.